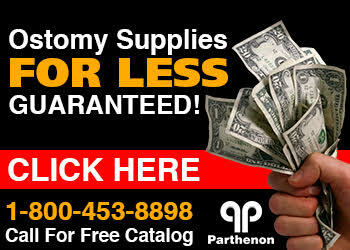 The Parthenon Company Blog - Specialists in Wound and Ostomy Supplies: What are the treatments for flatulence? What are the treatments for flatulence? Several foods are known to be prone to causing gas such as: cabbage, onions, broccoli, beans, dairy goods, corn, and carbonated beverages. Some people may be more sensitive than others to these foods, so it requires some personal experimenting. There are a few products available to take by mouth to address odor as well. Beano, provides enzymes that are said to prevent the gas formation by assisting in carbohydrate digestion. Several chlorophyll based products (Nullo, Bodymint, Derifil) exist claiming to address body odor ranging from your feet to your breath. These products along with Beno are available at a nutrition store.Some people recommend using a charcoal product (Charcocaps), but this is usually a bad idea as activated charcoal will absorb micronutrients in the body which could cause nutritional problems with chronic use. Finally, a bismuth subgallate based product called Devrom is an internal deodorant which works to eliminate the odor from flatulence and stool. FDA approved and available without a prescrition. Devrom is very effective and costs much less than other products. A trusted name for decades and used widely for flatulence odor relief by people with varying medical conditions. Devrom can be found in pharmacies or ordered online as it is an FDA regulated medication available without a prescription. The FDA has posted the Final Monograph for Internal Deodorants.